Artists Jacquelin Chong Si Man, Sammy Sum Chun Hin, Nina Paw Hee Ching, Helena Law Lan, Susan Shaw Yam Yam and Justin Cheung Kin Sing two nights ago attended the film ARE YOU HERE? (DIP SIN DIP SIN)'s premiere. The stars dressed up for Halloween. 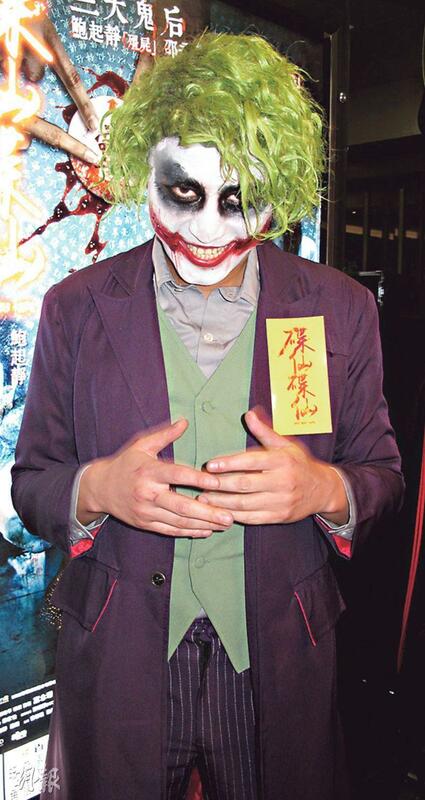 The most exaggerated had to be Cheung Kin Sing as Joker. Chong Si Man appeared as a ghost in a Chinese dress with blood running down her face. Cheung Kin Sing revealed that in order to support Chong Si Man, he spent six hours to put the make up on. He even skipped a meal. "When I was in the taxi and looked outside, a foreign child saw me and screamed! Lately I got a little fatter, the costume was a little tight. (Earlier you said you were working out?) I am working on a movie, for continuity I couldn't lose everything at once. In the film I worked with elders like Chen Kuan-Tai. I learned a lot." Chong Si Man praised Cheung Kin Sing as a good brother. 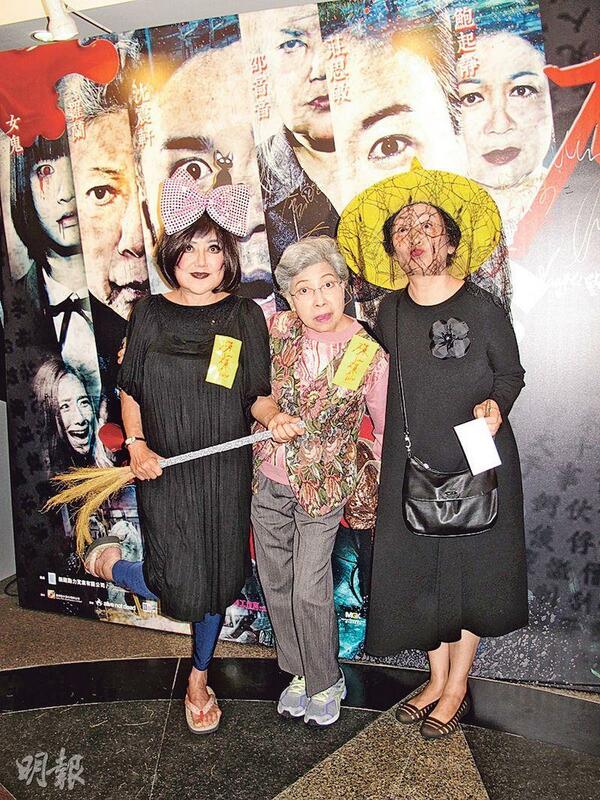 Her sister Lisa Chong Si Ming appeared in black. Chong Si Man said, "Is she dressed up like a ghost? She is just dressed up!" Si Ming explained, "This look is pretty scary! Earlier at the shopping center so many people were looking at me!" Would she feel the box office pressure as the lead actress? Chong Si Man said, "Certainly, but the film had pretty good response in Singapore and Malaysia earlier. We are thinking whether it can be released in the Mainland. During the shoot we expected not to, but some distributors saw it and wanted to release it in the Mainland. However the content would have to be adjusted." In addition, Law Lan was asked about fellow veteran actress Apple Ha Ping's fall. She said, "I only found out after friends told me. Is she OK? Limb and spinal injuries are quite troublesome when we are older. (She was not found for ten hours.) Did she install an alarm? I have one at home, I also have a maid. When we get older we have to be careful, put the feet on the ground first to test out our strength."